Our Concealed Carry Classes in Durham are approved by the N.C. Department of Justice and taught by NRA certified instructors. We qualify you for a North Carolina Concealed Carry permit, while equipping you with handgun safety and proficient gun handling. Why should you take our Concealed Carry Course? We will provide our students with the most practical, efficient and realistic Concealed Class in the area. We do this by going well-beyond the basic requirements needed to pass the N.C. Concealed Carry Certification Course. Watch this video to see what makes us stand out from the pack. There is a reason we have a 5-Star Rating on Google and Facebook. Join our next class and allow us to help you become a safe, efficient, and confident concealed carry citizen and gun owner. Watch this video to see what makes us stand out from the pack. There is a reason we have a 5-Star Rating on Google and Facebook. Join our next class and allow us to help you become a safe, efficient, and confident concealed carry citizen and gun owner. practical GUN HANDLING solutions for plausible SELF-DEFENSE situations. With our reality based skill development and practical training philosophy, you will leave our course with the knowledge, skills, and ability to protect your family, employ your pistol to save lives and resist the violent predators, criminals, and terrorists of today’s modern society. If you aren't able to remember and recite the 4 Firearm Safety Rules, this is an issue that needs to be addressed. Whenever you are around guns, shooting guns, or handling guns, these firearm safety rules are absolutely critical to ensuring the safety and survival of you, or anyone else, that could end up in the path of a negligent or accidental discharge. Let us help you become a safe and efficient gun handler, fully capable of defending yourself, your loved ones and your home. AT LEAST 21 YEARS OLD + N.C. RESIDENT + NO LEGAL ISSUES OR PSYC DISORDERS. To obtain the N.C. Concealed Carry Permit, student must be at least 21 years-old. However, we do allow students 18-20 years-old to attend the course for early education purposes only. Student must be a resident of North Carolina for at least 30 days prior to taking the course and have the home address listed on their driver's license. We do not accept students with criminal backgrounds, a history of violent behavior or documented psychological disorders. No Exceptions. SERVICEABLE HANDGUN + 50 ROUNDS + EYE AND EAR PRO + NOTE TAKING ITEMS. The course is divided into two sections: Classroom and Range. 1 - Classroom. Bring note taking items, water and snacks. We will have appropriate bathroom breaks and a lunch. No live ammo is allowed in the classroom. If you don't want to leave your firearm in your vehicle, take these steps before entering the classroom: Point your firearm in a safe direction and keep your finger off the trigger. Take out the magazine. Clear the pistol of any live ammunition. Visually and physically check the barrel to ensure your weapon is unloaded. Lock the slide to the rear and store weapon appropriately. LET ME REPEAT: Do not enter the classroom until your pistol has been cleared and all live ammunition has been stored in your vehicle. For semi-auto pistols, keep the slide locked to the rear before entering the classroom. For revolvers, keep the cylinder in the open position before entering the classroom. 2 - Range. At the range you will need a functioning handgun with 50 rounds of ammunition to qualify and pass the course. If you do not have a weapon to qualify we have rentals for you to purchase. Rentals include ammunition and one of our instructors will teach you how to use it. You will also need Eye protection and Ear protection. If you do not have these you must inform us prior to the course date. Based on weather forecast, bring appropriate clothing. We will be at an outdoor range with partial cover. We recommend close-toed shoes, pants or shorts with a sturdy belt, sunscreen and bug repellent. Class will be held rain or shine. Point your firearm in a safe direction and keep your finger off the trigger. Take out the magazine. Clear the pistol of any live ammunition. Visually and physically check the barrel to ensure your weapon is unloaded. Lock the slide to the rear and store weapon appropriately. LET ME REPEAT: Do not enter the classroom until your pistol has been cleared and all live ammunition has been stored in your vehicle. For semi-auto pistols, keep the slide locked to the rear before entering the classroom. For revolvers, keep the cylinder in the open position before entering the classroom. Keep all weapons empty, always pointed in a safe direction and fingers off triggers when approaching the range and loading station. Tables will be set up as a designated loading station. Do not load live ammunition into any firearm until instructed to do so by the instructor. Do not point your firearm at yourself, other students or the instructors. This rule stands regardless of whether your firearm is loaded or not. Until you are on the firing line and have received instructions to fire, keep your finger outside the trigger guard and off the trigger at all times. Neglecting this rule can get you disqualified and ejected. If your behavior is deemed unsafe you will be asked to leave the range. HOW DO I SIGN UP FOR THE NEXT CLASS? You can register for the next class by clicking the REGISTER NOW BUTTON below this FAQ section. We are also available to teach a private N.C. Concealed Carry Class to your group, church or network. Please contact us directly at [email protected] or (919) 584-8325 to set up a private N.C. Concealed Carry class for your group. HOW DO I GET MY ACTUAL PERMIT? GETTING YOUR PERMIT IS A 2-STEP PROCESS. 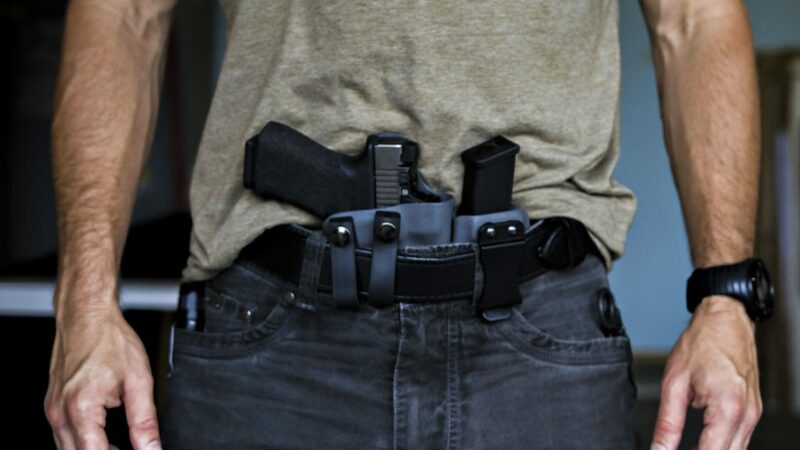 1 - Take our N.C. Department Of Justice approved Concealed Carry Course. You must pass the written exam that covers N.C. lethal force law, N.C. common law, N.C. statutory law and handgun terminology. You must also pass the shooting qualification. After passing both the written test and range qualification, you will receive an approved N.C. Concealed Carry Certificate. 2 - Take the N.C. Concealed Carry Certificate received to your local sheriff's office. Complete all required paperwork and background information. You will receive your actual permit from your local sheriff's office. Depending on your county, the N.C. Concealed Carry permit will be issued within 30-90 days. NO LESS THAN 7 DAYS PRIOR TO SCHEDULED CLASS.